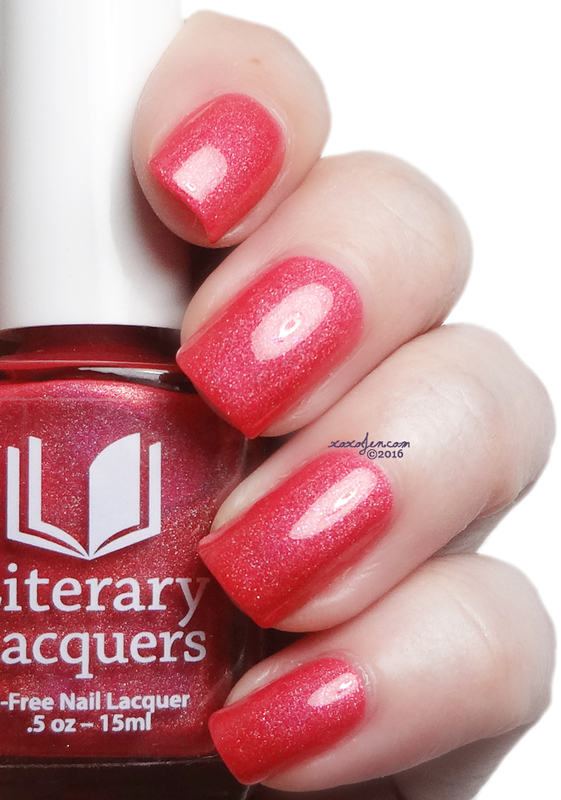 Amy of Literary Lacquers enjoys helping others and it shows, as she is offering another charity polish. This time she has collaborated with Debbie Wolf DeMars of Running With Lacquer. 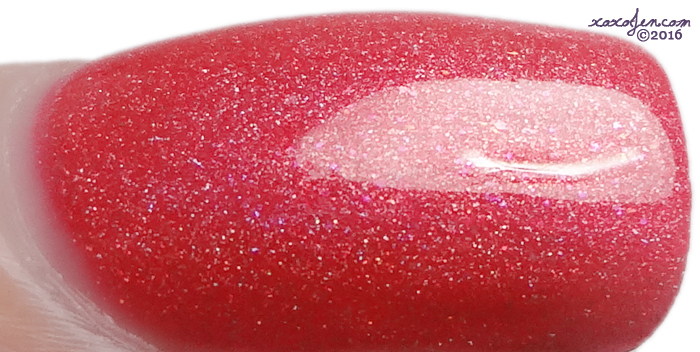 The polish is inspired by a young friend of Debbie's and is available now through the end of May. For each bottle purchased, LitLaq will donate $5 to the International OCD Foundation. 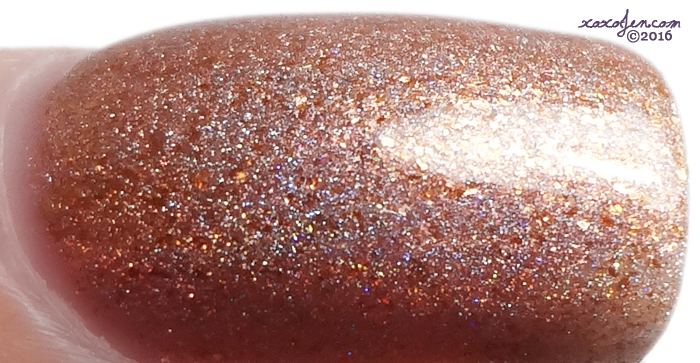 The limited edition shade, Tonight's Adventures, is a vivid pink-orange holographic polish with orange and copper shimmer. I wore two easy coats, and added topcoat for shine and seal. I also want to say thank you to Amy and to Debbie for including others and touching their lives to help them have better days. My uncle suffers from anxiety, ocd, and depression, so this means a lot to me! Imagine you have this amazing friend. She’s super smart, the kind of smart that would be intimidating if she weren’t so down to earth and nice. So instead of feeling inferior you learn from her. The kind of friend who pushes you to be a better person, and pushes you to question what you know and what you stand for. Imagine she has a wicked sense of humor. When you are together you laugh deep in your belly and your eyes tear. She’s caring and genuine and you know if you needed anything she would be there for you. Now imagine she has a teenage daughter and that daughter has all the amazing qualities of her mother. She’s spunky, smart and incredibly sweet. Sounds awesome, doesn’t it? And it is! Except that this amazing young woman, in addition to being brilliantly gifted and wickedly funny, also lives with mental illness. Her name is Sage. She is strong and brave but the road is hard and there are many bumps (hospitalizations) along the way. It is a constant fight. As their friend you feel helpless. You feel their pain so deeply it hurts but you are at a loss as to how to help. This is me and these are my friends. During one such hospital stay, amidst my feelings of helplessness, I had the idea of doing a charity polish in Sage’s honor, to raise money for OCD, one of the mental illnesses from which she suffers. I reached out to Amy with the idea and she was immediately 100% on board. Not only was she on board, she offered to donate a generous $5 per bottle sold to the IOCDF (International OCD Foundation)! Thank you, Amy, for your thoughtfulness and generosity! Being able to do something like this makes me feel like we are helping not only my friends but the countless others out there who are battling OCD. Please consider purchasing a bottle of this special polish in honor of my courageous young friend, Sage. The Hawaiian name, Makuahine (Ma-koo-ah-hee-nay) means mother or any female relative of the parents' generation. The name was chosen to honor mothers everywhere, but Amy created the polish for HHC admin Aubrey who lost her mother. The metallic finish represents the strength that our mother figures have in all that they do for those they hold dear. The warm earthy color represents the love and care they bring forth to us. 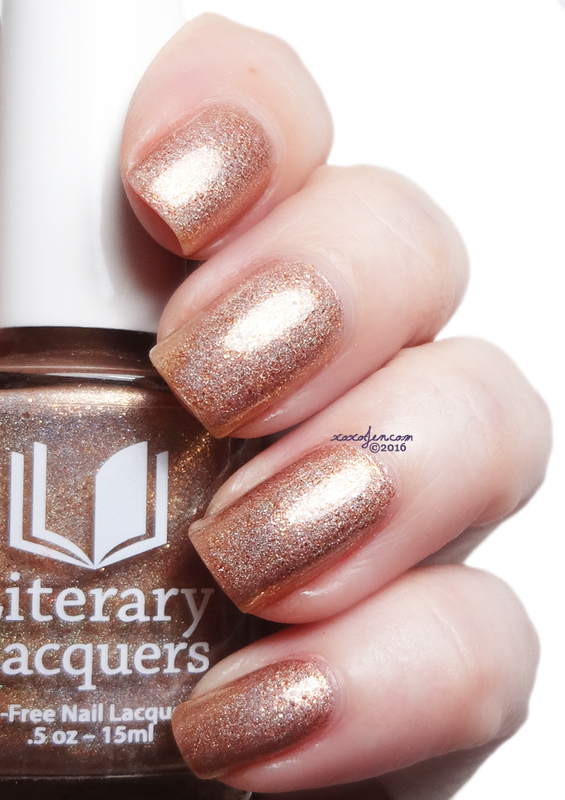 This polish is no longer available, but was an HHC exclusive, so you may be able to find it in the HHC chat group in a destash. I wore two coats with topcoat. I hope you've enjoyed this review and will stick around for more - albeit a slow trickle until my work hours normalize. Both colors look really great!